To use column formatting you can go to your SharePoint list column and select “ buy viagra online prescription xenical orlistat 120 mg Format this column” under “Column settings”. I wanted to write this blog post for a while. 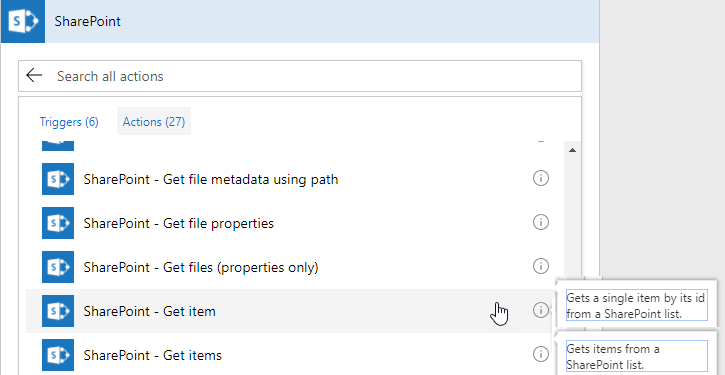 This one is on how to use Microsoft Flow and get SharePoint list item. So when using Flow you have two actions for getting a SharePoint list Item. Picture above displays the description of each action. Lets talk about the SharePoint – Get Item action first. As you can see that when using this action you will need to specify item ID to get the item. Now for the most part this would not work unless you have a context of the item and you are passing the ID using the context. We will talk about this in details when I cover For Each action. But for now my recommendation is do not use this action using the hard-coded ID unless you are in a situation where you have pretty static list and ID never changes. This action allows us to specify query to get the items and also allows us to specify Order By and Item count. You need to specify ODATA filter query. You can get some general ideal about ODATA query using THIS article. Basically you would have to specify field’s internal name and then your expression and then your value. If you are expecting more than one item returned then you can use the Apply to Each action which I will cover in future blog post. For anyone that is new to Office 365 and not know what Planner is then you should spend time understanding MS Planner service. Planner makes it easy for your team to create new plans, organize and assign tasks, share files, chat about what you’re working on, and get updates on progress. In this blog post, I am not going to talk about Planner much but I am going to talk about potential issue that you may face depending on your tenant configuration. When you are on the Planner Hub you see various options to visualize your plans. One of the feature is to add plan to your favorites. When you add planner to your favorites you may receive the following error. As I said earlier this is not going to be the case for the most part but as far as I know in one specific scenario you may receive the following error when adding plans to your favorites. Upon researching I found the following very useful blog post. With all credits to Brian (author of the blog post) I am posting scenario that I ran into where I go the above error. In hybrid scenarios we do not support comments or favorites for users with their mailboxes on-premises as the users needs to have an Exchange Online mailbox to engage with these features. EXCEPT – if the user does have an external email address configured and is configured as a MailUser in Exchange AD. In this scenario the user will be able to use these features even though they have no EXO mailbox. If the user is configured as a User rather than MailUser – and has no external email address then things won’t work. This has explained the situations where some users work and some don’t in a hybrid environment. Also of course some users may be fully in EXO and others in on-premises mailboxes. So, if you run into the above error make sure to read the above blog post. I hope this helps someone who is currently using Exchange in Hybrid scenario and running into this planner error. If you are using Microsoft Teams then you must know that the #1 request feature on Microsoft Teams uservoice is to allow Guest Access. Microsoft Announced on September 11 that they will start rolling out Guest Access to Microsoft Teams. 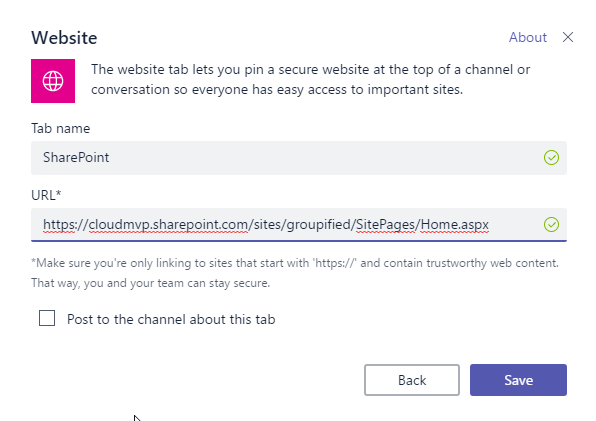 This is awesome news and I am looking forward to testing the guest access with Microsoft Teams. Now there are couple of things that we must know. Microsoft Teams have decided to only allow Azure AD accounts that are currently part of Office 365 tenant. This means if you are inviting external user as Guest to your MS Teams they must be part of any other Office 365 tenant as a regular user. Then you will be able to add them to your Team. Now to add external users you will need to make sure that this setting is enabled at the admin level. Turn ON the “Turn Microsoft Teams on or off for all users of this type” switch. Once this is turned on you will be able to go to your MS Teams and add external users. Once the external users are added they can switch their tenants to access the Teams. Currently switching the tenant option is not supported on mobile devices and hence you must use the desktop app or browser to switch the tenant. This is a great start by Microsoft Teams and hopefully in future we will more improvements around this area specifically allowing any external users and allow switching the Teams using mobile devices.